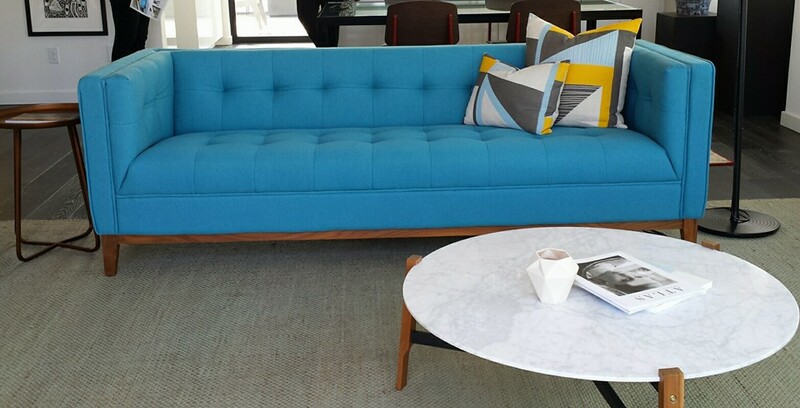 Mid-century modern furniture and designs have been making a strong comeback, especially with the popularity of shows like Mad Men. I thought it would be fun to summarize the designers and their epic chairs, because all of these designers have not only established statement looks but some have redefined exquisite architecture and interior design all together. This is clearly the resurgence of a classic design we lovingly call Mid-century Modern. So, just who are the designer superstars of the Mid-century? 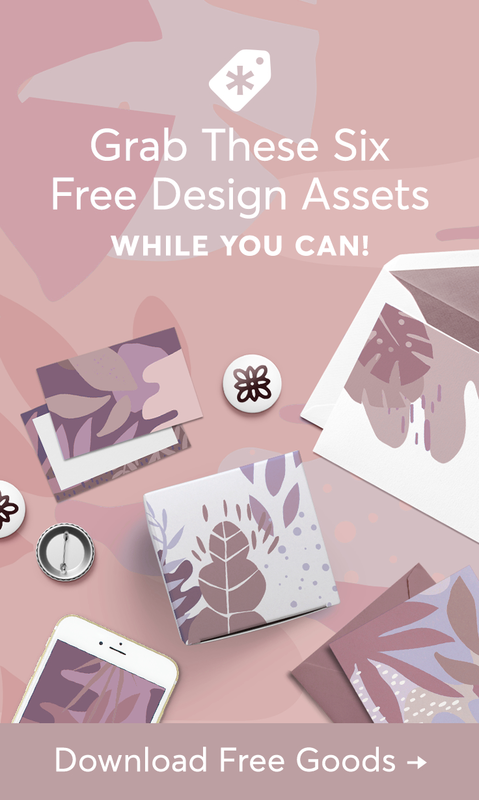 Without further a-due, here they are featured with some of their famous and most memorable pieces. It’s not every day that people get excited over plywood, but in 1946 and shortly after World War II, an influential architecture critic from the New York Times called a chair made by Charles and Ray Eames “the chair of the century”. 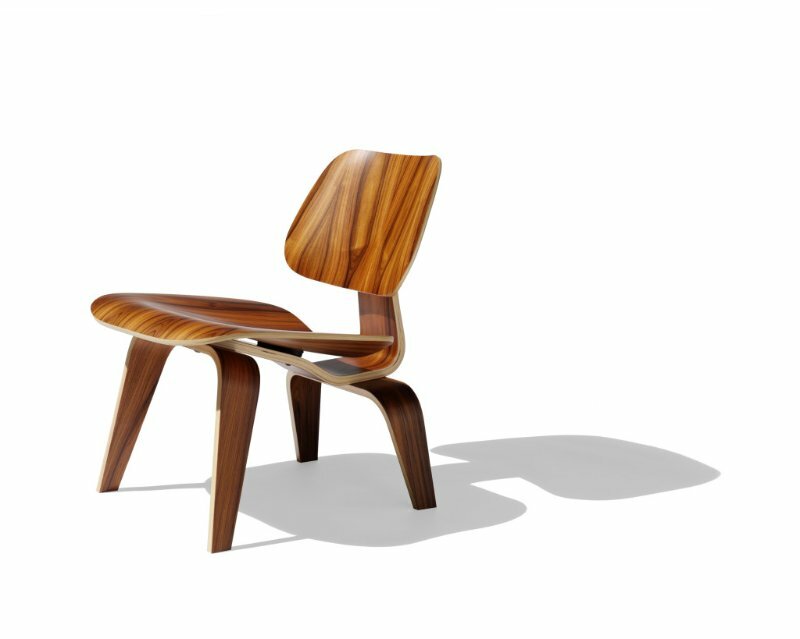 At the time, Charles Eames was an Architect turned furniture designer who, along with his wife Ray, was commissioned by the United States Navy to produce the molded plywood chair using technology that hadn’t been perfected for this purpose until then. The couple liked to call their machine the “Kazam! Machine”. This chair (aka work of art) would eventually be dubbed the LCW meaning “lounge chair wood”. Eventually Herman Miller, Inc. would take over production of this chair where it is still produced today. It was the innovative production techniques and the uncompromising design efforts from the likes of Charles and Ray Eames who set the tone for what we know today as mid-century modern design. One close friend of Charles Eames was Eero Saaranin, who surprisingly enough was also an Architect turned famous furniture designer. Saaranin was known for many great designs but in 1946, he created a chair that was meant to be comfortable and sculpted from a single material and ended up with something so unique for the time that anyone could sit in it in any number of positions. With an original unsexy name of chair No. 70, it’s a wonder how they ended at an equally unsexy name like the Womb, but there is no doubt the name fits its function. The molded fiberglass shell is upholstered and padded so anyone can return to their infancy with one squat in. This chair was so iconic and recognizable during its time that it was featured as part of a Saturday Evening Post cover done by Norman Rockwell on May 16, 1959 called “Sunday Morning”. It shouldn’t come as a surprise by now that Architects make great furniture designers and Ludwig Mies van der Rohe is no exception. A German born man who later found a second home in Chicago, Van der Rohe did not become famous for any one accomplishment because he had many and I would argue that this is why he became so well known in the architecture and design community. Some of his architectural accomplishments include the Farnsworth House and the S.R. Crown Hall in Chicago which are simple structures with clear interior spaces. He was a modernist who is often said to have spread the phrase “less is more” which is purely evident in some of his best furniture designs. 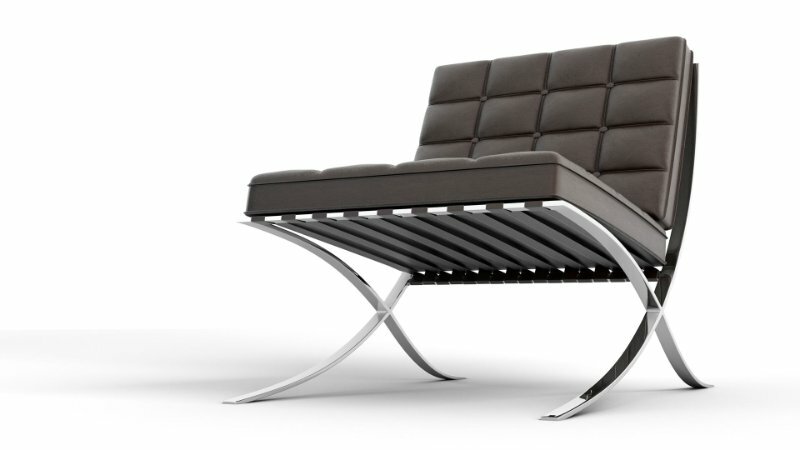 With simple lines and a lounge position, the Barcelona chair is one of the most exquisite pieces van der Rohe designed out of steel and leather, providing an unmatched executive flair. Another designer who enjoyed steel and started out in Architecture is Marcel Breuer. His claim to fame in the furniture design biz was his very recognizable Wassily chair. This chair resembles what some known as the club chair, but it has been deconstructed to its most basic elements and parts. Breuer was intrigued by the idea of using tubular steel in his minimalistic furniture designs and was motivated by the Bauhaus movement started in the early part of the 1900’s which combined art and industry. Bauhaus was an art school in Germany where Breuer attended and became a master carpenter. This is where he mastered his craft in combining art with industry and developed the eventual course for his entire body of work. It is a well-deserved honor that this chair received two awards from the Museum of Modern art in 1968 and in 1982. 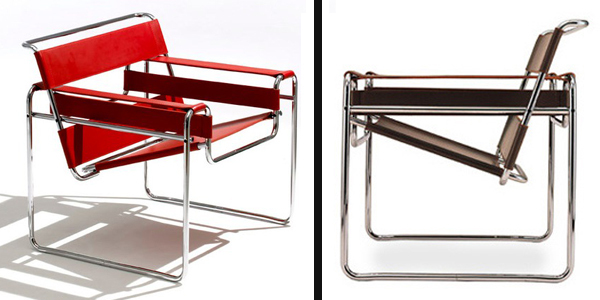 Today, the Wassily chair is still seen as a modern masterpiece capable of filling the aspirations of any designer. Okay, ready to be surprised? I found a furniture designer that was not an Architect. Isamu Noguchi was an American sculptor who viewed himself as a travelling internationalist. He produced many recognized pieces of art, like the Associated Press sculpture in Rockefeller center, but his most critically acclaimed work was his gorgeous sculpted table made from wood and glass. 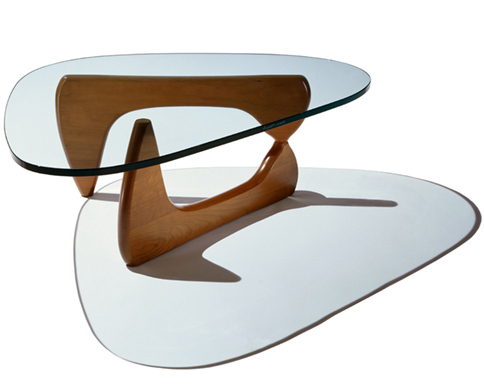 This table would eventually take his name and become known simply as the Noguchi table. Noguchi had an affinity for sculpting like no other from the 20th century and no two of his sculptures where never alike. Recently, the Noguchi table has been the highlight of something funny within the design industry which brings about the question, why do we design rooms to be so cliché and uncomfortable? It is questions like these and moments of humor that remind us that design that can spark discussion is design that is to be remembered. Danish Architect, Arne Jacobsen, was a mid-century master in furniture designs. His furniture is best known for being minimalistic, curvy, colorful, and comfortable. At first sight, Jacobsen’s chairs resemble organic shapes we’ve all seen before in swanky scenes from TV show’s as recent as Mad Men. We can’t often help but be compelled to them, wanting to just sit and relish in their comfort and style with hopes to come away feeling like we’re of a higher class. 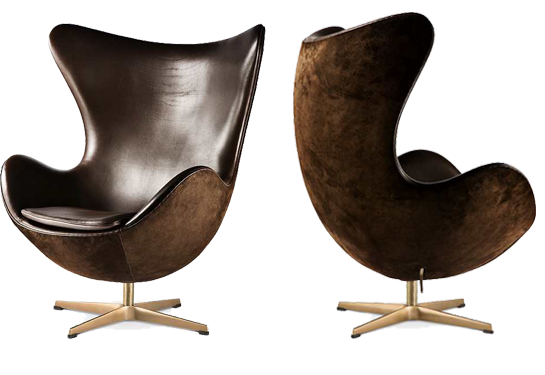 The Egg chair is a perfect example of a high back lounge chair where we instantly feel like royalty. First seen in the Royal Hotel in Copenhagen for which Jacobsen was the lead Architect, the design for the Egg chair was originally sculpted and molded in Jacobsen’s garage. This chair is truly a piece of art shaped by an artist with a vision and is worthy of celebration in any home or office. Interior design can often be seen as “over the top” but every designer can make a case for bringing in one piece of furniture that anchors the room in size and shape. 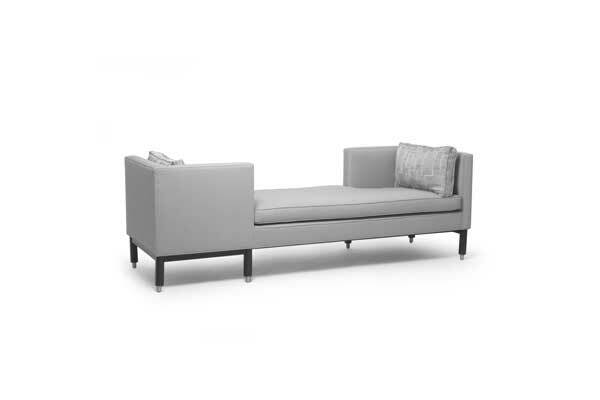 Edward Wormley’s furniture are the pieces I think of when considering modern and sleek furniture that provides the size and basic statement for a room, like the “Tete-a-Tete” sofa. This piece is for conversation and comfort providing a unique perspective for each sitting person. It can be placed in the center of the room or near a corner and all eyes would gravitate toward it. Wormley was a modernist furniture designer hired by the American furniture manufacturer, Dunbar. His focus was to take classic furniture designs and simplify them with a slight modern twist. Wormley definitely created a place for himself in the mid-century design arena by providing understated pieces of furniture that had warmth that some other furniture designs were lacking from this era and so it is no wonder why Dunbar is still producing Edward Wormley’s furniture today. One furniture designer whose designs are making a strong comeback today is Gerrit Rietveld. I have no reservations that you haven’t seen his zig zag chair or his modern hanging lamp somewhere recently. Gerrit Rietveld was a cabinet maker from the Netherlands who eventually became in involved in architecture and dematerialization, which is a reduction in the quantity of materials that are to be used to create something. A flawless example of this philosophy was the Zig Zag chair. The chair is only made of four wood tiles, no legs, and is connected at the joints with simple dovetails, providing a minimalistic and exquisitely modern style with a shape that resembles a Z. This chair form was more than just a chair to Rietveld. He was inspired to create objects that would not displace space and would instead feel like a continuation of space, requiring clever and inspired construction in order to remain functional as a chair. It’s obvious this is more than just a chair and would make a clear statement piece at each end of a dining room table. 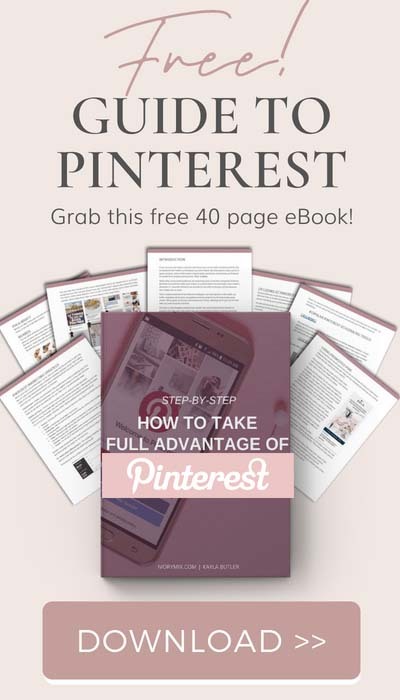 Want to Even Learn More? 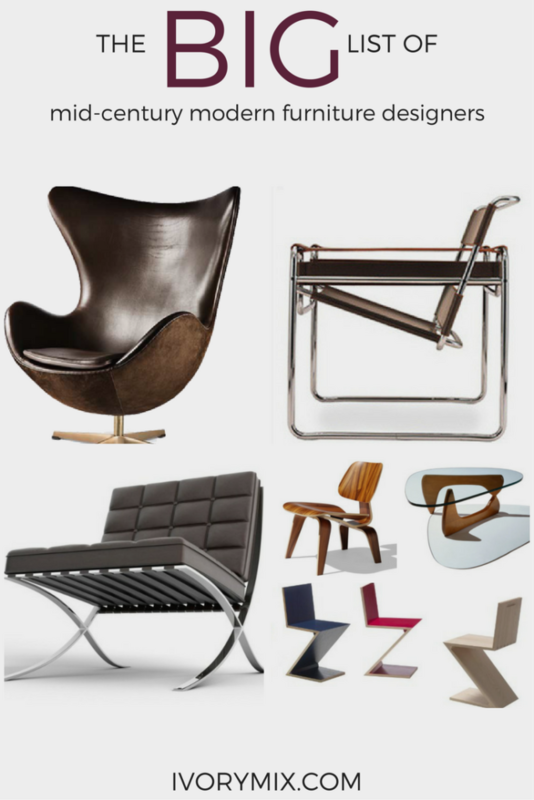 Here is a guide to the top 100 most interesting, most controversial, or simply most beautiful chairs designed between 1930 and 1970. 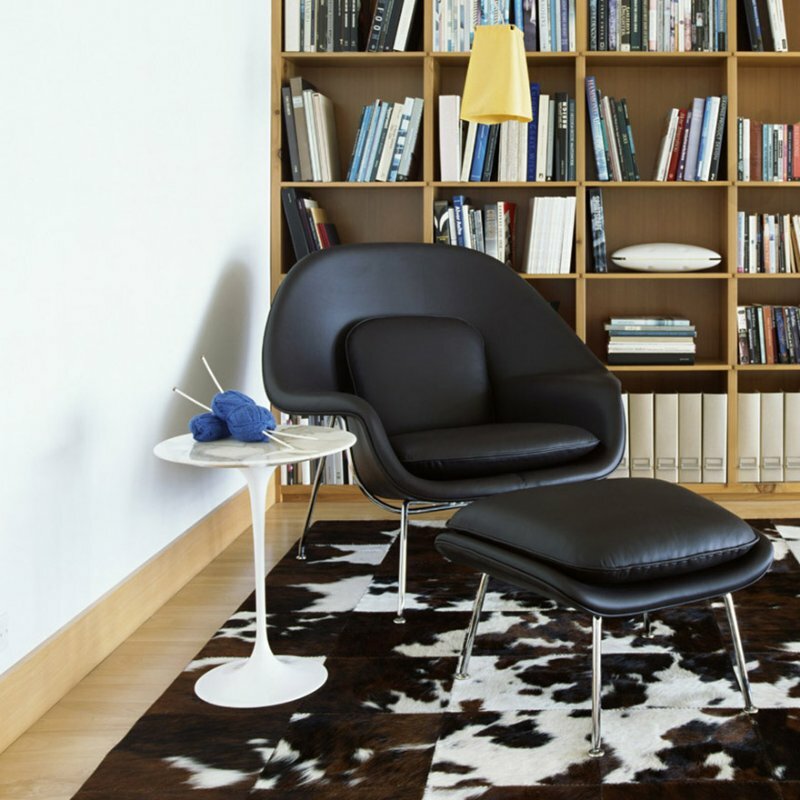 You can get to know the designers of the Modern era, including the Eames, Jacobsen, Nakashima, Noguchi, Wegner, and many more, through their creative and unique chair designs. With notes on materials, manufacturers, and construction, entertaining quotes by designers and fans about each chair, a brief biography of each designer, the stories behind the designs, and even a ‘chair timeline’ showcasing the very best of European, Scandinavian, Japanese, and American design, 100 Midcentury Chairs And Their Stories is a must for Midcentury enthusiasts and design history fans everywhere. 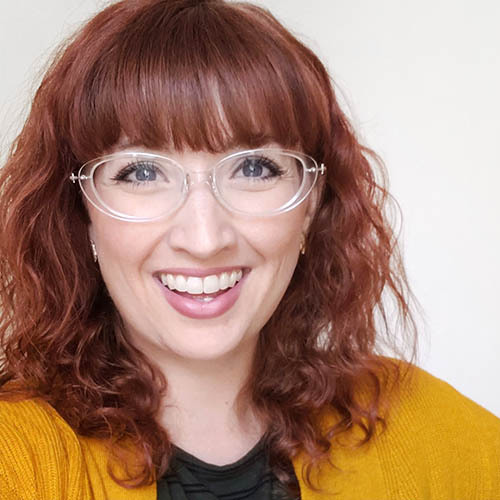 You can either buy the real mid century modern deal, a knock off, or do-it-yourself. 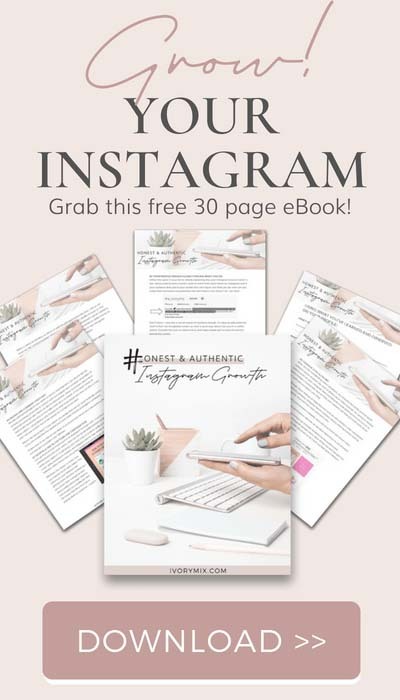 I’ve got a special place in my heart and home for some DIY, but nothing says great design like authentic pieces. So, you decide..